I wanted an updated kitchen and bathroom but didn't want to deal with having the rooms torn up for weeks on end. Kitchen Refresh was so quick and the results were incredible! Thank you so much! We just finished up a remodel on our kitchen with Kitchen Refresh and I LOVE my new kitchen! They do a great job helping to coordinate all the various steps of the project making the process much less overwhelming! I would definitely recommend them and very much appreciate all their help and hard work! Ericka W., West Fargo, N.D. I want to give a HUGE shout out to the Kitchen Refresh team! From start to finish they were so helpful and efficient. Their work completely transformed our wetbar/entertainment area in our basement. We are blown away by the results. Shawn E., West Fargo, N.D. This is the way to take your 80’s kitchen to a modern look. Very happy and impressed with our kitchen project!! Who knew an entire kitchen remodel could be easy and enjoyable?!?! Everything was coordinated for us from the countertops to the painting and all of the little details. And all of this was done in the most convenient manner - we could use our kitchen during the entire process! We highly recommend Kitchen Refresh! We could not be happier with our updated kitchen! We are still amazed that this is our kitchen! 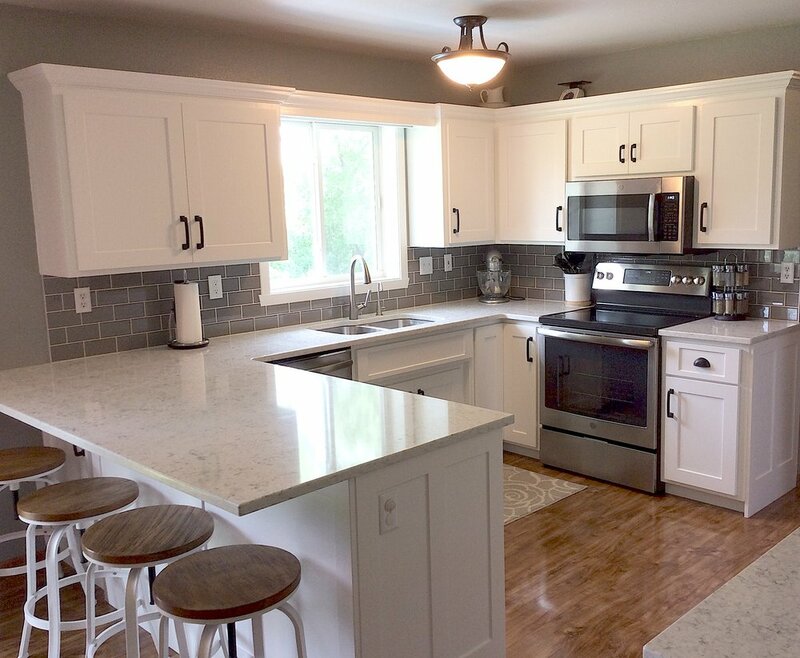 Kitchen Refresh was attentive and responsive throughout the entire process. We would wholeheartedly recommend Kitchen Refresh to anyone wishing to modernize their kitchen. I would recommend Kitchen Refresh to anyone wanting to update their kitchen at a very affordable price. The difference is amazing. We were updating additional things in our house as well and they worked great with our contractor, and their timelines, at getting everything done on time for our family! This was the best home improvement money we’ve ever spent. It’s an excellent option for adding value and beauty to your home. I only wish I had done it sooner!